Conducting research and providing valuable reports is an important method for CanGEA to promote the industry and the potential of geothermal energy. Check out our resources to learn more about geothermal energy and the industry. Read about the potential for geothermal energy using existing oil and gas wells, how geothermal energy is a cost-effective alternative to Site C, Yukon geothermal opportunities and applications, and much more. The CNGD is a publicly available web portal. 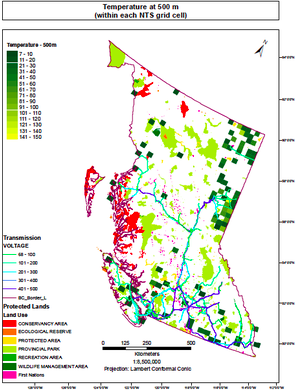 The purpose of the project is to provide publicly available maps, databases, protocols, and tools which may be used as a resource and/or investment tool for assessing and exploiting geothermal resources in Canada. CanGEA presented the “Canadian Geothermal Code for Public Reporting” in 2010. The Code provides a minimum set of requirements for the public reporting of exploration results, geothermal resources and geothermal reserves. It provides a basis for transparency, consistency and confidence in the public reporting of geothermal information.